We were excited to see ourselves featured in the 2015 annual report for Engineers Without Borders. 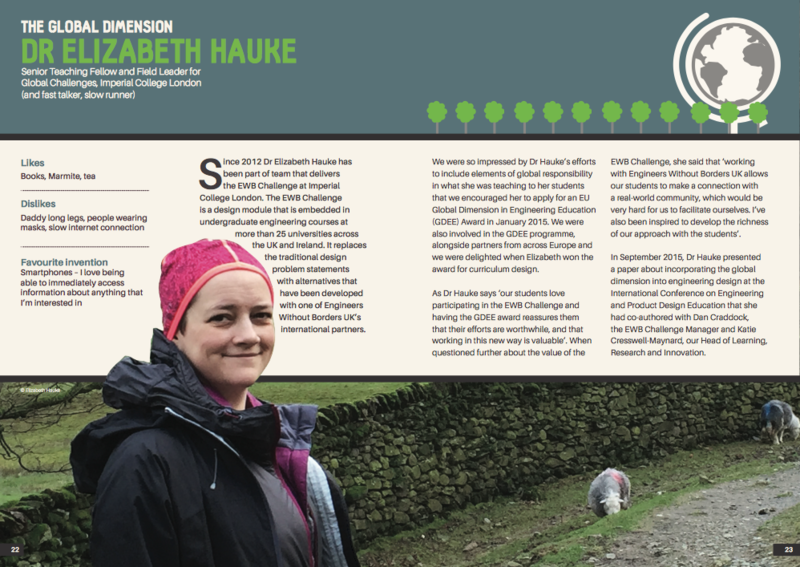 The feature follows a short interview with Elizabeth Hauke about the impact of the EWB Challenge on learning about sustainable human development. The EWB challenge is integrated into our second year Global Challenges course ‘Design for Sustainable Development‘.